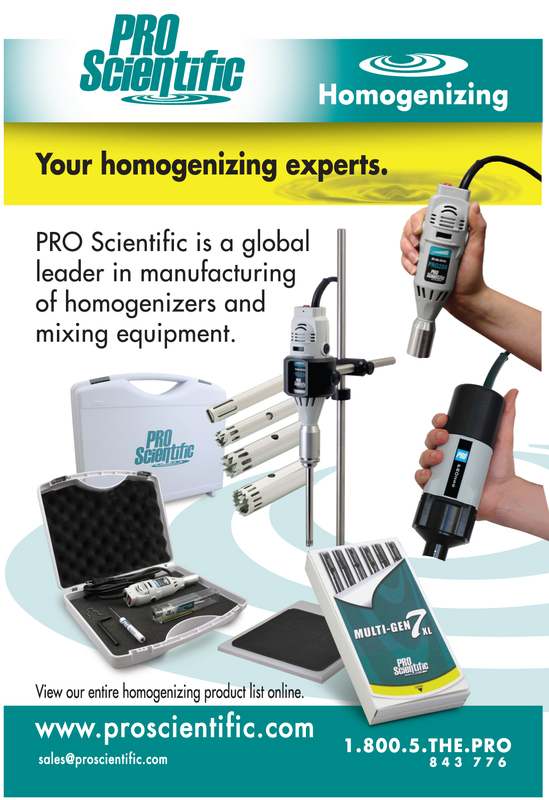 PRO Scientific is a global leader in the manufacturing of high shear laboratory homogenizers. 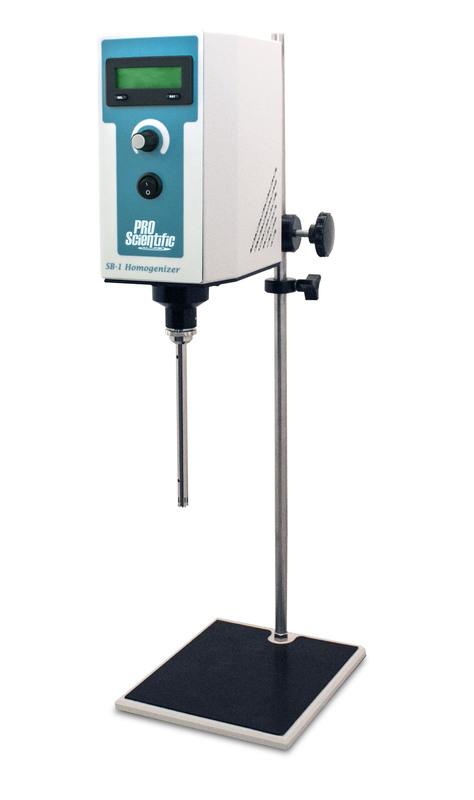 From hand held to stand mounted configurations, a variety of high shear homogenizers are available from PRO Scientific. PRO’s complete line of homogenizer units include hand-held, post-mounted, digital benchtop and programmable homogenizers. These homogenizers meet all your processing needs with the ability to homogenize various volumes (.03ml to over 40L) at speeds of up to 30,000 rpm. Through its precision crafted generator probe design, PRO users have been able to insure micro-processing of volumes as low as .01 micron. In addition, PRO’s Safety Sealed Systems have afforded users the safe, non-aerosoling homogenization of pathogens and other sensitive materials. The Multi-Gen 7XL, “the better alternative to disposable”, further complements the PRO homogenizer line as the industry’s only 316 stainless steel multi-sample processing package. A variety of pre-selected homogenizing package kits are available based upon your application processing specifications and include everything you need to begin homogenizing. Automated Homogenizing Systems are also available to solve the problems of multi-sample processing and streamline your lab. For additional information on selecting a homogenizer to best suit your needs check out our "Choosing a Homogenizer" page or contact us directly. 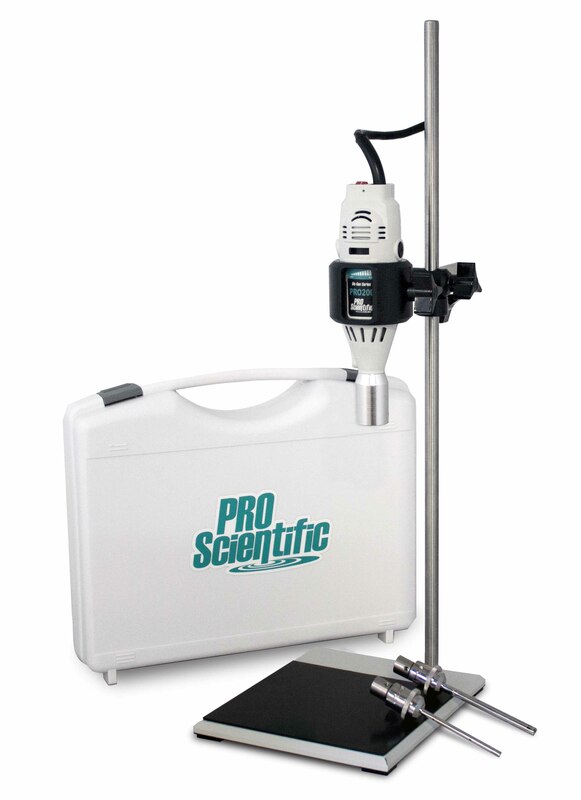 PRO Homogenizer Kits provide everything you need to begin homogenizing in your lab. Selection is conventiely based on your application. Our Laboratory Homogenizer Kits help you identify the necessary homogenizing equipment easier because they are process and/or volume range specific. 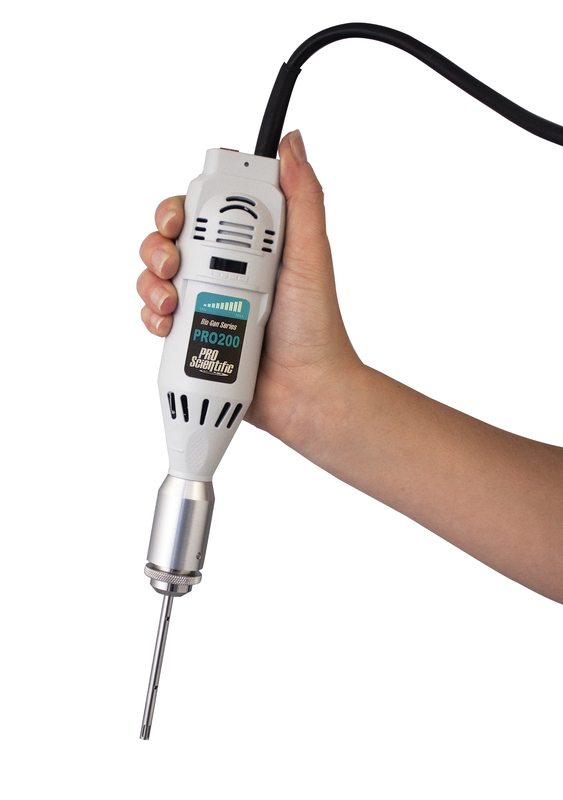 PRO Hand Held Laboratory Homogenizers are high quality handheld models that feature powerful watt motors, large RPM range, and separate on/off speed control. Both handheld models are lightweight enough to be hand-held, but do have Stand Assembly options available. PRO Digital Laboratory Homogenizers that are post mounted on a stand assembly, consist of two models. SB-1 Silent Brushless Laboratory Homogenizer and PRO25D Digital Laboratory Homogenizer. Both models provide complete control of the RPM range within hundreds for exact speed awareness and speed fine tuning. 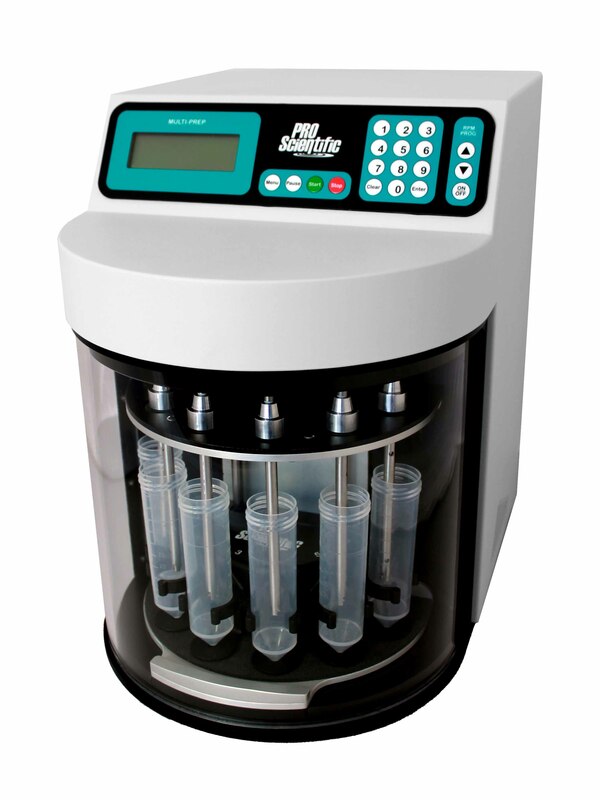 Process ability of all types of samples within micro-tubes to large beakers/containers. beating. We have PRO Quick Connect Generator Probes to process in tubes as small as .5ml and up to multi-liter procesasing and our Multi-Gen 7XL Multi-Sample Generator Probes easily process in tubes from 1.5ml-50ml. 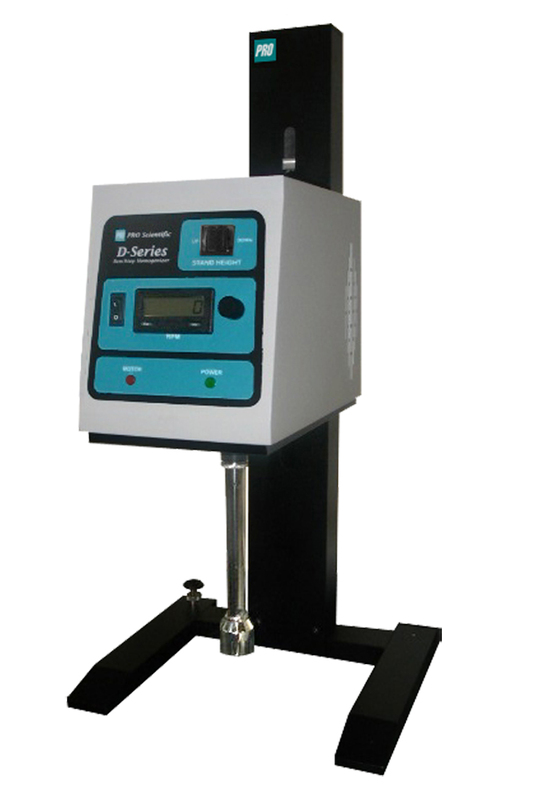 PRO Benchtop Homogenizers have two segment products of D-Series Digital Benchtop Homogenizers and PC-Series Programmable Benchtop Homogenizers. All models provide a perfect balance of power and superior performance. Combining a high watt motor and upgraded technology results in the most reliable and durable laboratory benchtop homogenizers in the market. Automated Laboratory Homogenizers are perfect for researchers needing to homogenize/mix/blend a large number of samples per day. PRO Automated Laboratory Homogenizer Systems allow for many samples to be homogenized simultaneously and/or during one processing run period, which reduces researcher time and labor involved in homogenizing as well as provides consistent results and eliminates the risk of cross-contamination. PRO Automated Homogenizer Systems consist of two models, Multi-Prep Rapid Homogenizer and DPS-20 Dual Homogenizing System.